From Rushdie’s The Satanic Verses to Wendy Doniger’s The Hindus: An Alternative History, we are witness to an increasingly regressive trend of banning books, films and art in the name of ‘hurt sentiments’. However, while in a plural and diverse society as ours where sentiments are routinely hurt, when do certain instances of ‘hurt sentiments’ translate into the clamping down of such ‘hurtful’ narratives, leading to their censorship and banning? The aggressive intolerance towards any effort that challenges the dominant discourse on religion, caste, gender, sexuality, nation, etc. points us in a direction where knowledge produced takes the shape of propaganda. In the face of this attack, let us reclaim our right to think, question, challenge and criticize – the pillars of knowledge production. To address and discuss the issue a public meeting was organized by Association of Students for Equitable Access to Knowledge (ASEAK) on 26th February at Delhi School Economic. The public meeting was address by Mukul Mangalik (Associate professor, History, Ramjas College), Apoorvanand (Professor, Dept. 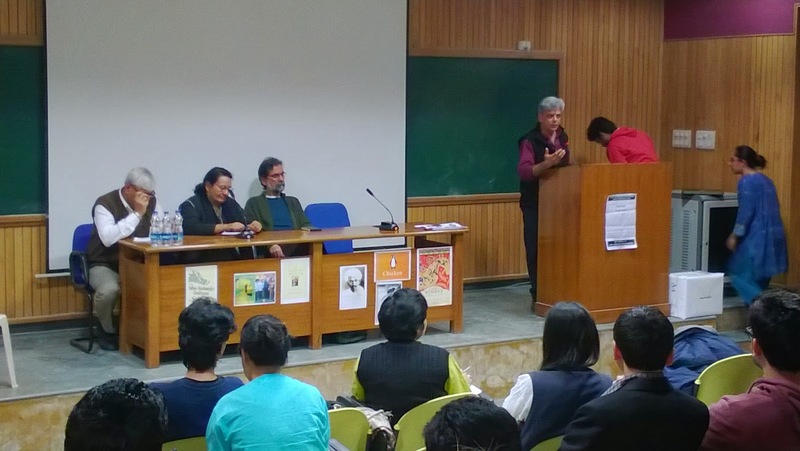 of Hindi, Delhi University), Noor Zaheer (Writer and cultural activist) and Sanjay Kak (filmmaker). Professor Uma Chakravarti could not make it to the meeting, but a statement sent by her was read out. Public Meeting: Whose "Hurt Sentiment"? 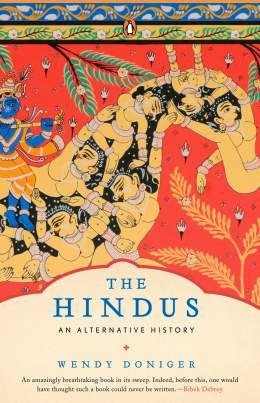 ASEAK condemns Penguin India’s cowardly decision to buckle under pressure from conservative lobbies such as the Shiksha Bachao Andolan and to have agreed to withdraw Professor Wendy Doniger’s book The Hindus: An Alternative History, and pulp the remaining copies of the same. We identify this as the most recent incidence of the growing attack on the freedom of expression and the right to criticize in our country. It also serves to remind us of the growing culture of aggressive intolerance that is characterizing the transformation taking place in the political landscape of India, where holding different and dissenting viewpoints is increasingly being censured/vilified, through the subversion of institutions meant to uphold democratic virtues, or by outright force. The Doniger affair is a wake up call for those of us who think that the various spheres of our lives remain untouched by the regressive transformations we see in the political culture around us. The case underlines the fact that the political shift underway has massive implications for our work as academics and for the process of knowledge production in a democratic society such as ours. We stand resolutely against the censuring of expression and censorship of works of scholarship in the name of ‘hurt sentiments’. Be it in the name of religion, sexuality, nationalism or any other self-held beliefs, the logic of ‘hurt sentiments’ is an obscurantist device employed by self-appointed custodians of the reigning morality of our social order. These actors, be they religious fundamentalists, regional chauvinists, ultra nationalists or mega corporations are interested in maintaining a singular narrative about what they stand to define for society. This is so because they draw their authority by maintaining only one version, one that they script, about the Truth. They are threatened by critical enquiries and by the very act of questioning of their self-held beliefs, which they propagate as the Truth. If a belief cannot stand the weight of questioning, then we believe it is only just that it should be allowed to crumble under the same. It must be borne in mind that this is not a stand against any system or entity (a religion, nation, corporation or any such thing), but a proactive defense of the right to question. It is only by beginning with questioning of our assumptions and self-held beliefs that we even understand them better. It must also be noted that the logic of ‘hurt sentiments’ is used by majoritarian tendencies, and by those who hold power in our social setup. It therefore needs to be distinguished from the imperative task of giving voice to the ‘historical wounds’ of people and sections of our society. As people invested in understanding better the world that we inhabit, it is important that we enquire into stories that are systemically silenced. The Doniger affair is also a stark reminder of the inadequacy of our institutions (legal and otherwise) to provide for a strident defense of the freedom of expression. The legal provisions that make it possible for those who intend to shut out any dissenting voices, the buckling of University Academic Councils under pressure from bigoted pressure groups, are signs that much needs to be done to secure this essential freedom (of expression) that forms the basic condition for the persistence of many other liberties. The shift we notice from the Rushdie episode, where Penguin took the courageous stand of defending freedom of expression, to the Doniger affair where the world’s largest trade publisher chose not to defend the same interest in court, reaffirms our belief that we cannot rely on corporate publishers to do what is best in the interest of dissemination of ideas. The corporate model of publishing is like any other business, and should be seen as such. They are ultimately governed by profit as their primary motive, and cannot be relied upon to safeguard even our most basic interests as students, readers, citizens. ASEAK stands in solidarity with those who have resolved to act against the compromise that Penguin has agreed to with the Shiksha Bachao Andolan, and thereby has jeopardized our interests with this capitulation on their part. And also with those who have importantly decided to take an initiative to create a public debate around sections of Indian law that are repeatedly used by malicious interests to censure serious scholarship.